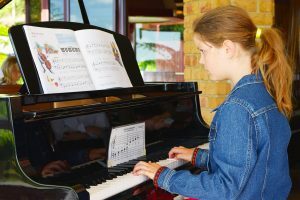 Teaching Music Port Lincoln; Piano, Classical guitar, Folk Guitar, Recorder, Singing and Theory of Music. 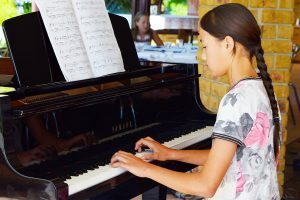 Port Lincoln has a wonderful team of music teachers based in the Dept for Education and Child Development DECD schools, including private schools Navigator College and St Josephs school and also Maurine’s Music Suite with teaching Music Port Lincoln. 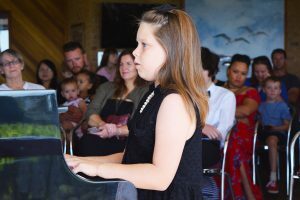 Our students come from all around including Port Lincoln Primary, Poonindie Early Learning Centre, Cummins Area School and Junior Primary School and Music Movement. Kindy Music Movement sessions are held at Park Terrace and Bishop Street Kindergartens. Similar programs for pre-school children and provided at Kiddywinks, Toybox, and Poonindie Early Childhood Centre. Each week I use the program from CD’s of Encore music by Mark Gibson from the Ed Dept of Queensland. Children learn together about counting and physical actions with song and dance. 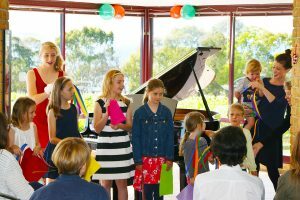 Are you looking for a music teacher in Port Lincoln? If yes look no further! I am a private music instructor registered to teach in DECD schools. Initially students learn by having fun. Eventually some begin to study seriously for AMEB examinations and finally their goal is to gain the completion of 5th Grade towards their SACE Boast of SA Stage 1 credits. 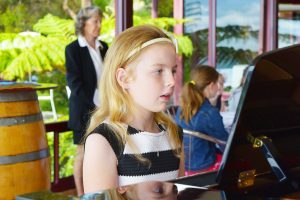 Congratulations to all the pianoforte Students who worked hard and were successful in the recent AMEB exams. A note of appreciation and thanks is extended to all families for the support and encouragement given throughout the examination training. 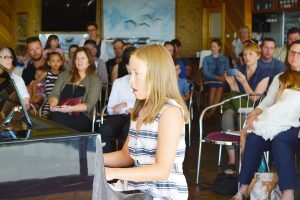 Schleswig-Holstein Musik Festival in Lubeck – Germany and the Internationale Summer Academy in Salzburg Austria with Professor Dmitri Bashkirov, a Russian pianist and educator.